Kid Orange Tech is a distributor of ABCmouse for private preschools and early learning centers. ABCmouse for Schools is a popular, award-winning learning tool parents and children love. Our Educational Advisors help schools set up, use, and promote ABCmouse for Schools to build a connection between the classroom and home. We understand the challenges schools face when adding technology into classrooms. We’re here to help you make it easy and fun. What does Kid Orange Tech provide for schools? Training and support guaranteed to strengthen the school and home connection. We work closely with your school staff to get you started and help find the best ways to use ABCmouse for Schools in your classrooms. We help you communicate the importance of getting parents involved in their child’s day and ensure their child’s screen time at home is effective learning time. Our Educational Advisors are highly qualified former teachers and directors with a wealth of experience in the classroom and in building revenue for preschools. They will help set up your classroom accounts and get started with ABCmouse for Schools. Along the way, they offer creative and practical ways to use the activities in your classrooms, and can answer any questions you may have. Peter has cultivated a strategic partnership with Age of Learning to provide the award-winning ABCmouse for Schools program to early childhood education centers. His goal is to grow technology in the preschool industry and has a history of building loyal customers. Peter spent 24 years in leadership roles in finance and other industries. He is a graduate of Lynn University and serves on the board of advisors to the president council of Lynn University. 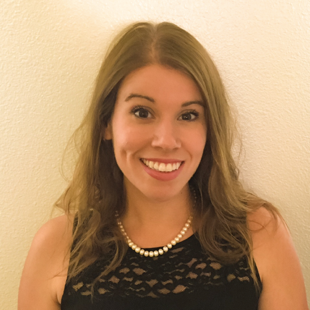 Danielle has over 5 years of experience in elementary education and is an advocate for using technology in the classroom to cultivate a passion for learning. As an Educational Advisor, Danielle works alongside school owners and directors to help them best implement the ABCmouse for Schools program in their center. She has a bachelor’s degree in Communication Studies and a master’s degree in Teaching (Pre-K-6) from Christopher Newport University. As a mother and advocate of early childhood learning, Dominique believes the ABCmouse program reinforces learning at home and allows technology to be introduced in the classroom in a positive way. She has seen firsthand how it can impact a child’s success and educational growth. Corinne oversees the implementation of the ABCmouse for Schools program and its technology solutions in the schools they serve. She works with the team of Educational Advisors as they support directors and owners in launching the program. She works hard to be ahead of the latest technology to inspire young learners. 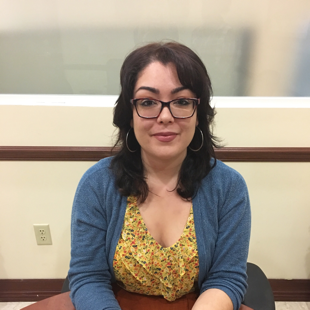 Corinne has a bachelor’s degree in psychology from Hofstra University, master’s degree in education from DePaul University and is currently pursuing a doctorate in educational leadership at Lynn University. Erica has over 12 years of experience working with children in preschool and elementary settings. As an Educational Advisor, she has helped thousands of schools enhance their educational program and family involvement through technology. Erica believes when digital educational programs are incorporated meaningfully into instruction, students have new opportunities to learn and achieve. She has her bachelor’s degree in early childhood education from the University of South Carolina. Erin has over 21 years of education experience, working with children from preschool to high school. She believes children need to be engaged and comfortable with technology during their educational journey, and they show gains when there is a strong connection between school and home. Erin has a bachelor’s degree in elementary education from Florida Atlantic University. She holds a master’s degree in education from Lynn University and is currently pursuing a doctorate in educational leadership there. While attending Urban Teacher Academy Program (U-TAP), Sasha worked closely with Pre -K and Kindergarten teachers creating lesson plans and fun group projects to do with the kids. Sasha graduated school for Medical Billing and Coding. After working with KOT and ABCmouse, Sasha decided that she truly enjoys working in the educational field. Sasha has been with KOT for over a year, beginning as an administrator agent and currently working as team leader of the administration department.